I will give myself lots of time to study, but I will study hard. If I devote enough time and effort, I will thoroughly understand. When I have questions, I will write them down right away; that way I can ask others and learn the true meaning. Throughout the ages, countless people have devoted themselves to the task of studying. Yet not everyone becomes a learned individual, and even fewer become known as some of the greatest minds in history—Plato, Confucius, Leonardo Da Vinci, and Isaac Newton, to name a few. Time was not an issue, but effort was imperative. The following story illustrates the persistence in intellectual pursuit that made Confucius one of the greatest minds in Chinese history. During his latter years in the Spring and Autumn Period, Confucius spent a lot of time studying The Book of Changes (I Ching), an ancient divination text and the oldest of the Chinese classics. Paper had not yet been invented at the time. Instead, words were written on strips of bamboo. Books were made by stringing many bamboo strips together with cowhide string (called “wei”). The book was rolled up when stored, and rolled open as it was read. Since The Book of Changes had very profound vocabulary and content, Confucius would flip back and forth through the book in order to comprehend its meaning. He studied the book so feverishly that he wore out and broke the cowhide string several times. This anecdote of Confucius inspired the Chinese saying “breaking the book binder three times”, which describes a person who studies assiduously and diligently. Confucius’ dedication to studying the ancient classics inside-out was a key factor to his success as one of China’s greatest philosophers. The more he studied these profound classics, the more his knowledge and understanding grew. His thoughts and philosophy were so profound, that they were enough for one man to govern the Song Dynasty. Zhao Pu, the first Prime Minister of the Song Dynasty, was key to helping the first Emperor of the Song Dynasty, Emperor Song Taizu, unify the country. After Emperor Song Taizu died, his younger brother, Emperor Song Taizong, succeeded the throne. Rumours eventually reached the new emperor that Zhao Pu’s knowledge was shallow, and that he had only read The Analects of Confucius. People said that it was grossly inadequate for a prime minister to have read only one book. 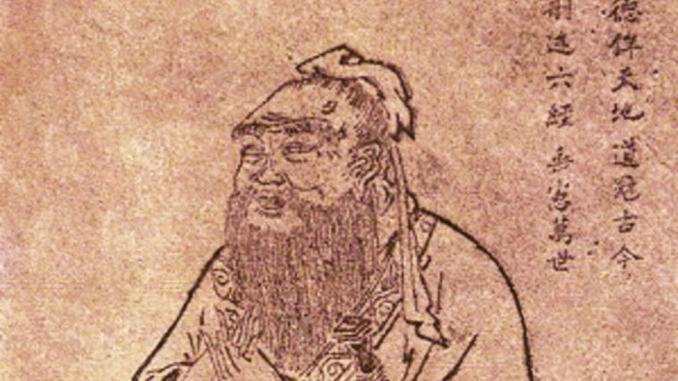 Later, when Zhao Pu died of illness, his family opened his book cache and indeed found only twenty chapters of The Analects of Confucius inside. Today, the Chinese saying “Half of The Analects of Confucius” is used to emphasise the profoundness of Confucian thoughts. 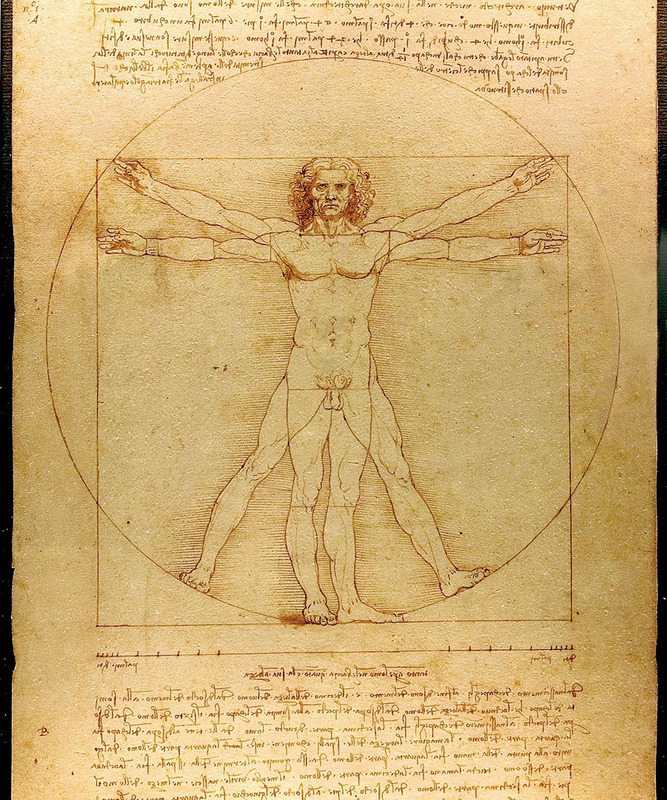 Leonardo da Vinci’s drawing of The Vitruvian Man in his notes. The drawing is based on the correlations of ideal human proportions with geometry, as described by the ancient Roman architect Vitruvius. The legendary Leonardo da Vinci was born out of wedlock to a peasant and a lawyer, and did not receive any formal eduation in Greek or Latin as a child. Leonardo da Vinci’s anatomical study of a human foetus. 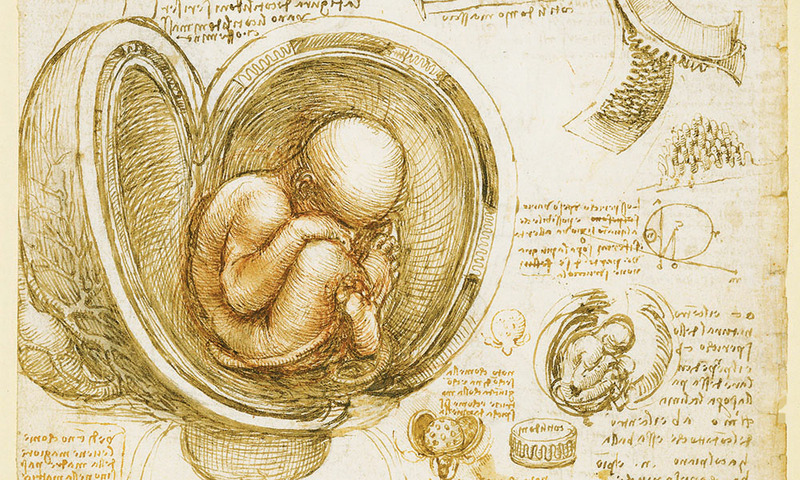 da Vinci was the very first in history to correctly depict the foetus in its proper position within the womb. Yet he became the most diversely talented person ever to have lived in the Western world—he was one of the greatest painters of all time, and excelled as a sculptor, architect, musician, scientist, mathematician, and engineer.